Best Views in all of Gleneagles! Top of Hill! Backs to Golf Course and Open Space! 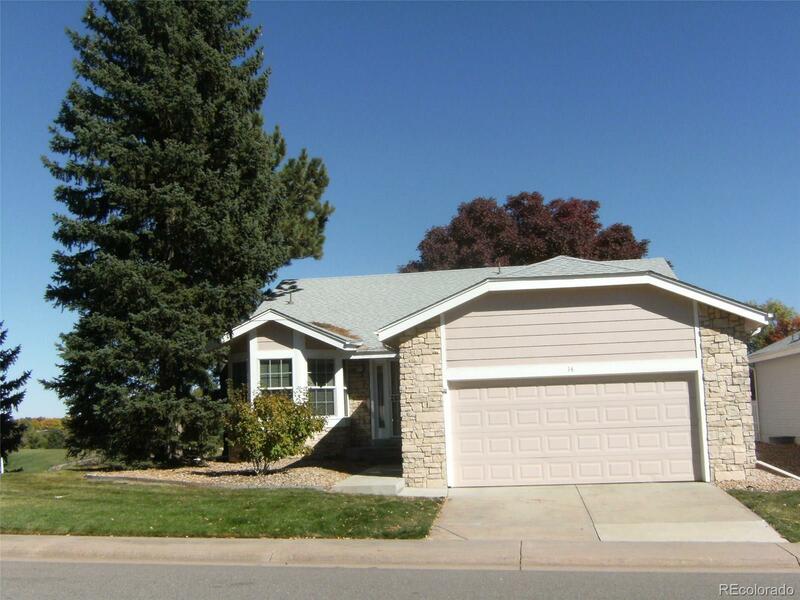 Very Popular Canongate 11 Ranch Style Model with 2 Bedrooms, 2 Baths + Study and Laundry all on Main Floor! Finished Basement with Recreation Room, Bath and Bedroom! New Carpet Just Installed Throughout! New Coretex Flooring in all Baths! New Interior Paint Throughout! Brand New Cement Patio with Incredible Views! Walk to The Links Golf Course and Gleneagles Clubhouse! Move in Ready for Personal Updating!